Fill out our simple form and get quotes from local Soft Play Hirers. Somewhere for the kids to have heaps of fun and play all day. Have you thought about soft play equipment for a children's party, perhaps a children's ball pit? Take a look and find your favorite soft play to ensure plenty of entertainment for all. This is good, safe fun that can see a bunch of toddlers playing alongside each-other, giving their parents some much-needed rest! Bee Bop A Birthday offer an adorable soft play package as standard for any younger siblings attending our parties. Soft play is perfect for either outdoor or indoor events and so is appropriate for any time of year. 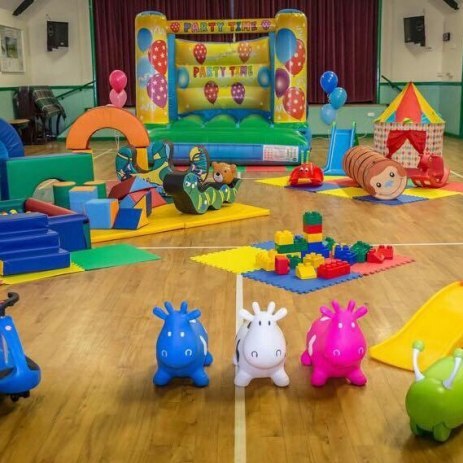 Soft play hire, ball pit hire and play area hire can be perfect additions to a Christening to ensure happy parents and children alike. Halloween, outdoor shows or birthday parties can all find a children’s play activity to add a little excitement for the children attending the event. Your favourite soft play services can be selected for quotes or more information about equipment hire.